Outside a strangely-shaped hut you stand in snow, dressed in thermals, evening dresses and tuxedos. The sun beats down during the day, only to be stolen away as twilight approaches. Some freakish costumes stay on but others are shunned for the warmth of modern fleece, down and polypropylene. The wine and port sit inside the hut and beckon you to keep them company, while the fuel stoves consume fuel by the gallon as they cook a sumptuous three-course dinner. The packs are heavy. The skis are cumbersome. It's cold, you're tired, but you're having a fantastic time with fantastic friends doing some unusual and challenging things. Like walking in the dark. In the middle of winter. That's because you've had the opportunity to experience Midnight Ascent—the MUMC Annual Dinner—at the MUMC Hut, which resides at 1600m on a spur that flanks Mt. 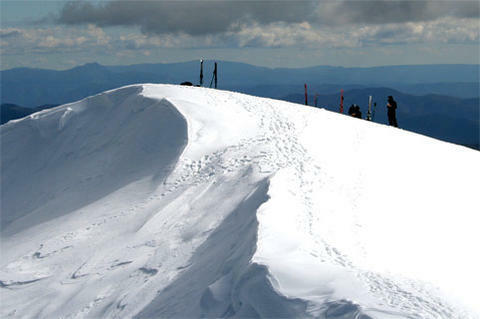 Feathertop, Victoria's second-highest mountain. You've survived the long uphill wrestle with North-West Spur, one of the steepest in Victoria. You started at midnight and walked through the midwinter snow with torch- and moonlight to guide your way. Four to seven hours later, you've finally arrived at the MUMC Hut, exhausted but exhilarated. 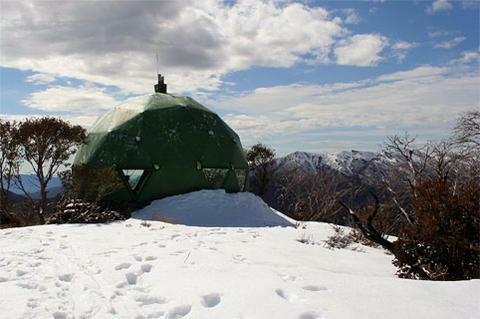 The MUMC Hut, situated at 1600m, is generally a beacon of hope for many weary travellers who embark on the North-West Spur. After a night's walk, it's even more welcoming. 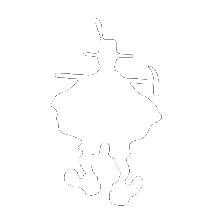 You've carried two days' worth of food, a tuxedo or evening dress (or in some cases, a bit of both...) or a costume for the weekend's theme; some will have carried skis and lugged plastic boots up the mountain. You can't wait to get out there on Saturday! But for now, all you can think about is passing out in a nice, dry sleeping bag with the thirty-odd others also on the mountain. You awaken in the warm cocoon of your sleeping bag at around lunchtime. As you reluctantly extricate yourself from your insulating shell and lurch downstairs, you notice the vista that lay hidden in the dark on Friday night. From the MUMC Hut, one can see the North Razorback, a ridge that meets the North Peak of Mt. Feathertop and continues southward toward Mt. Hotham (this latter section is known simply as The Razorback). Beyond the North Razorback lie The Fainters, a popular cross-country skiing destination. Even further toward the horizon lies Mt. Bogong, the highest peak in Victoria. And of course, the summit of Mt. Feathertop itself can be seen from the MUMC Hut. In a few hours (weather permitting) you ascend the steep western face of the mountain, slapping on the sunscreen and for some, the skis. A few hours later you stand upon the summit of Mt. Feathertop, admiring the wonderful panorama—a just reward for your efforts. 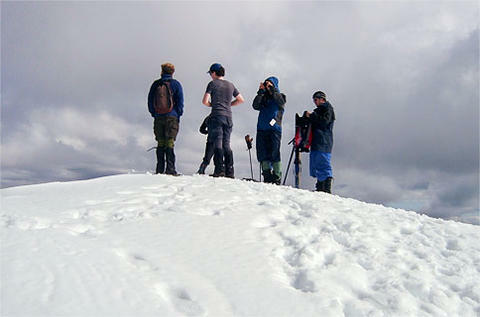 The usually-corniced summit of Mt. Feathertop in reasonably good weather. Despite the chill, it always pays to pack on the sunscreen. Those who went into the effort to bring skis and boots — usually advanced skiers, though intermediates can do it too—are rewarded with fantastically steep runs in the gullies of Mt. Feathertop, great terrain for practicing your telemark turns. Skiing on Mt. Feathertop is also quite common during a good season. Typically suited for advanced skiers, there are a number of gullies that provide good runs. Later on, as the sun sinks below the horizon, you get out that tuxedo — or evening dress — that you so laboriously carried up the hill, and wear it. You admire those who went into the effort to bring themed costumes, wondering why you didn't bring your own. Before you can ponder the question for long, a traditional group photo is taken before the chill sinks in and everyone rushes inside to begin the real adventure of the weekend—dinner. 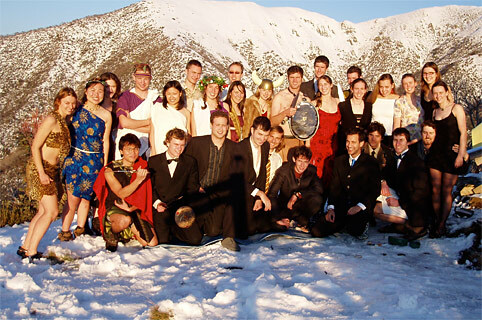 A group photo from 2006 — the theme was The Glory of Rome vs. The Barbarian Hordes. The dinner consists of an entreè, a main course and a dessert. Your cooking group of six create each course in pairs. Of course you don't scoff all your own grub—it's more of an all-in buffet as you wander around and sample everyone else's handiwork. Sushi, porterhouse steaks and salmon dishes have been made on-site; so have fondues, salads and other forms of sustenance. The more creative (and adventurous) you are, the better! Just remember to clean up afterwards. The time has finally come to depart the mountain. After the previous nights' frivolities and festivities, you awaken in a festy state and clean out the even-festier MUMC Hut, leaving it cleaner than when you arrived—always a good practice in the wild.